When I was in high school, I avoided using the bathrooms that had a cloud of smoke come out when you opened the door. I never did figure out how those girls got away with smoking in the girls’ room, but those girls had a secret weapon I didn’t have: lighters. Lighters were not only useful for smoking, but also for applying smooth and thick eyeliner. I don’t wear much eyeliner, but every once in a while I like to put a little around my eyes. Using a lighter, however, just isn’t practical. I don’t remember where I read this simple trick. It’s so easy I can’t believe I haven’t thought of it before! 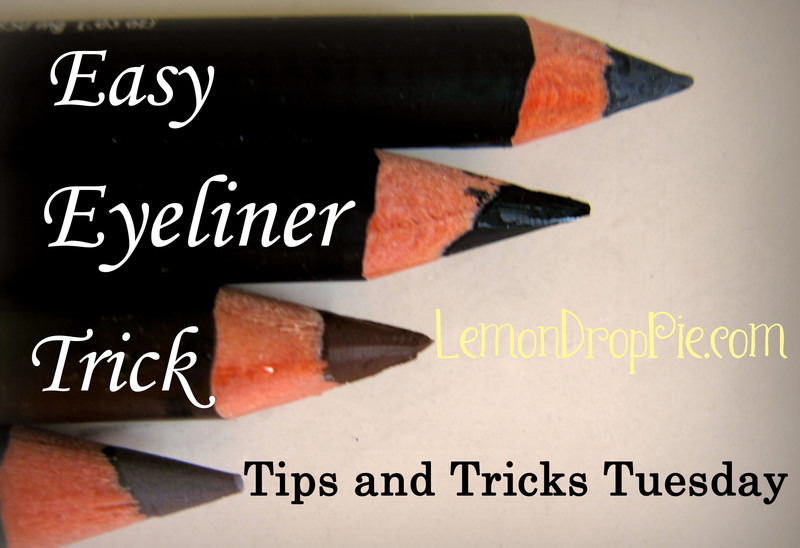 Use your hair dryer to soften your eyeliner! It works beautifully, and there’s no risk of getting a detention. Are there any other easy make-up tricks I’m missing? Did you already know the hair dryer trick? Tell me in the comments below! I don't have a hair dryer. Mind you, I hardly ever use eye liner, so it doesn't really matter either way. And if you hold it against the palm of your hand, it will soften up as well. I have never heard of that tip before but it's perfect..and you're right…no detention! HAHAHAHA!! I don't really wear eyeliner, but maybe it's because I never knew how to soften it so it would go on properly. This might have just changed my life. My recent post Who’s That Crazy Faced Baby? I never heard of using a hair dryer either. There was one bathroom in our high school specifically used by smokers. Everybody knew! It's beyond me too how they still never got busted! I love the blow dryer tip. Thanks! I have heard about this trick before but I had totally forgotten about it…heheh. Thanks for the reminder 😀 I did not know about the mirror though, I don't know why I never thought about that!